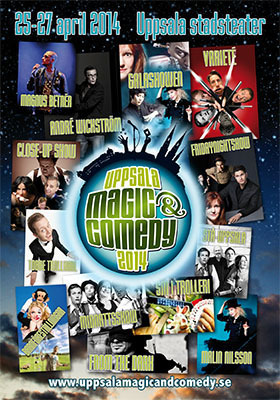 Commercial (video poster) for Uppsala Magic & Comedy 2014. A magic and comedy festival in Uppsala, Sweden. Two different versions for vertical and horizontal screens.